The CPSSC will be held together with the Software Engineering-Conference 2016 and will take place at “Imperial Riding School Renaissance Vienna Hotel”. 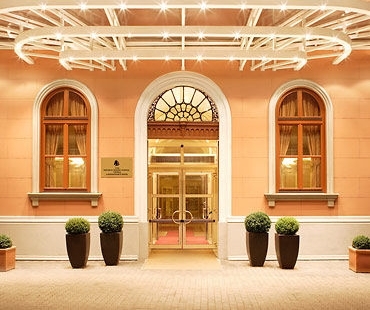 Recently renovated and brimming with amenities, the Imperial Riding School Renaissance Vienna Hotel effortlessly blends modern design with sophisticated touches, reflecting the building's history as a former military riding school dating back to 1850. Impeccably furnished hotel rooms and suites feature spacious layouts, luxury bedding, and 24-hour room service. Some of our hotel accommodations even offer two-level floor plans. The exceptional Imperial Club offers stylish Club Rooms and an extraordinary lounge that is sure to become a highlight of your Austria visit. We proudly offer a host of amenities that you're unlikely to find in other hotels within central Vienna; pay a visit to our indoor pool and sunbathing area, or sit in our expansive garden and enjoy a seasonal barbecue. Host a memorable meeting in one of our 15 event rooms, or spend some time exploring Vienna; we're just moments from exceptional attractions. 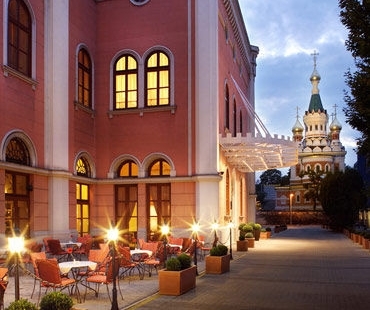 Plan your Austria adventure today at the Imperial Riding School Renaissance Vienna Hotel. © Marriott International, Inc. The airport of Vienna (Vienna Airport – VIE) is located about 20 km south-east from the city center and is approached by all major airlines. In case you need detailed information about arrivals and departures, a map of the airport or details about how to travel to the city center, visit the Website of the airport. Traveling from the airport to the city center will take you about 15 up to 30 minutes depending on the traffic situation. Note: A direct connection to the venue exists via S7 (see Hotel). In case you need any further assistance you can visit the conference website or you can directly contact the organization team (Constantin Scheuermann or Andreas Seitz).